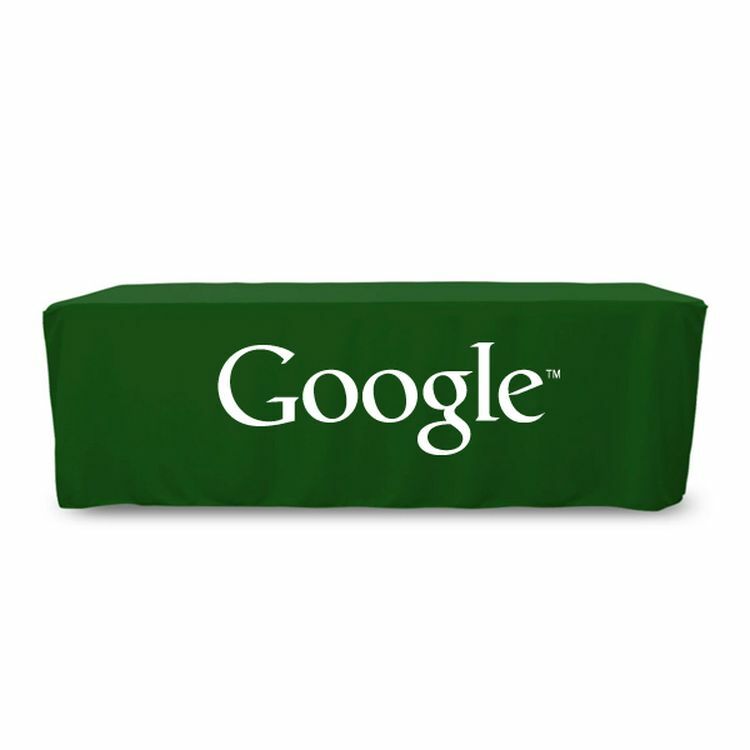 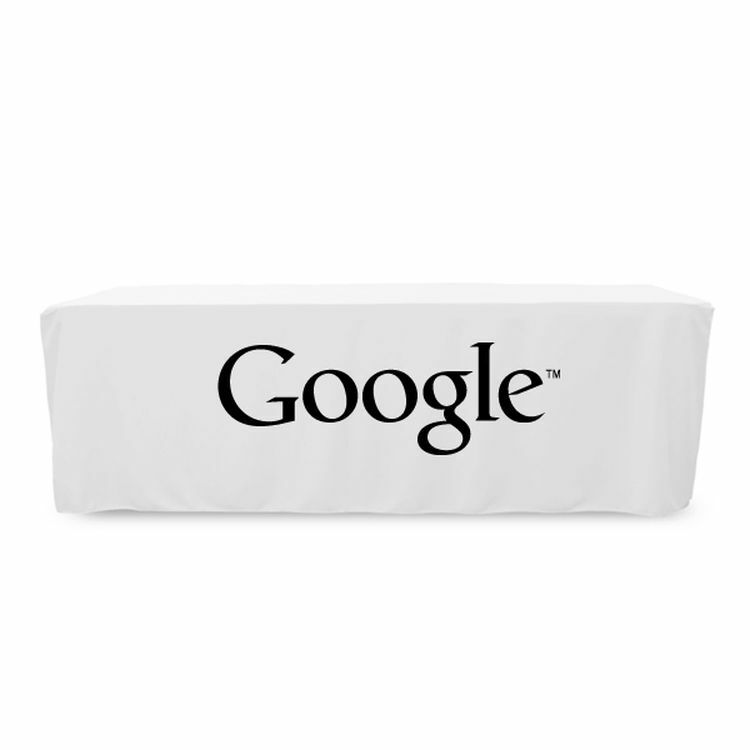 8 ft. Fitted style table cover with one color logo. Fits a 96 inch wide x 30 inch deep table and is designed to drop over a table, providing a perfect, precise look and fit. Floor length on all 4 sides. 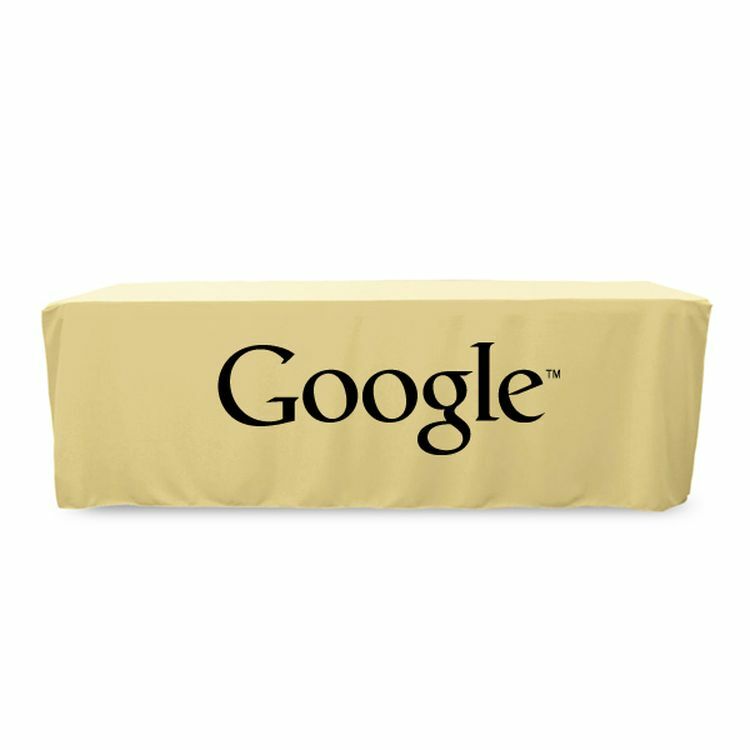 Made from our unique, Premium PolyKnit fabric that drapes beautifully, and is a wrinkle and stain release product by design. This cloth requires no ironing, is EasyCare machine washable, dryer safe and flame resistant. Price_Includes: One color, 1 location logo, setup and proof.